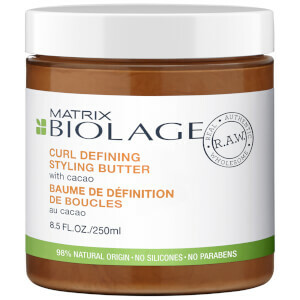 Matrix are one of the leading hair care brands worldwide and they strive to provide professional-quality products to their customers while remaining environmentally friendly. 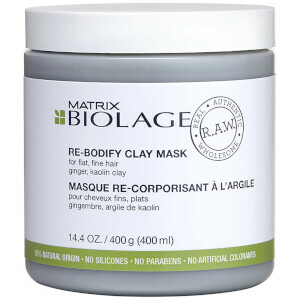 The Matrix Biolage R.A.W. 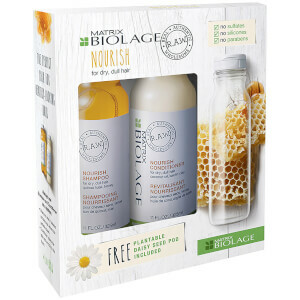 collection stands for ‘Real, Authentic, Wholesome’ as this range contains absolutely no nasties and is environmentally friendly. 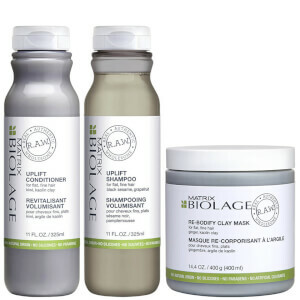 All of the products in the Biolage R.A.W. 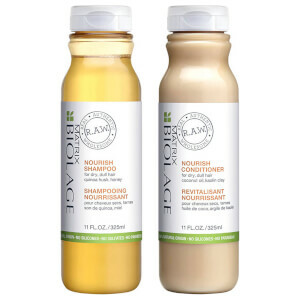 collection are of 70-100% natural origin, meaning that the ingredients remain in their natural state or, when it has undergone some processing, it retains more than 50% of its natural molecular structure. 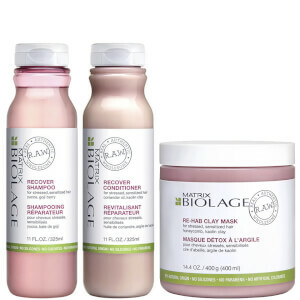 View all of the Matrix Biolage R.A.W. 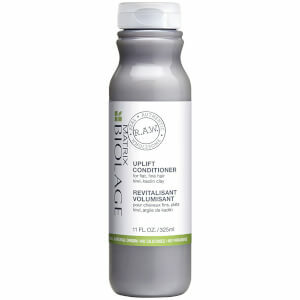 Uplift Shampoo at LookFantastic to revolutionize your hair care regime. 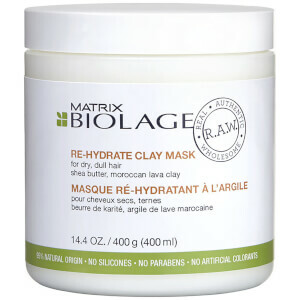 The Matrix Biolage R.A.W. 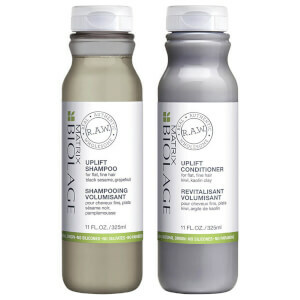 Uplift Shampoo will infuse fine, flat hair with incredible volume, shine and strength. 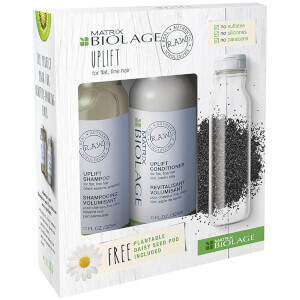 The natural blend of ingredients includes black sesame and grapefruit extracts which work to purify the hair while adding volume and body to each hair strand, without stripping the hair. 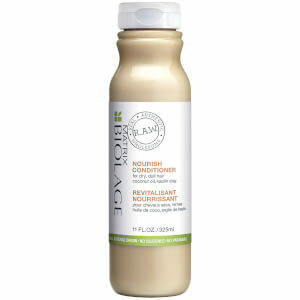 With absolutely no nasties, the Matrix Biolage R.A.W. 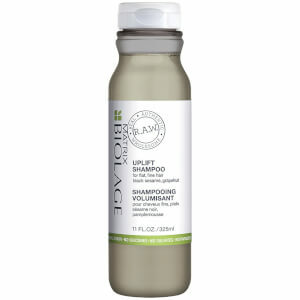 Uplift Shampoo is free from silicones, parabens and artificial colors and housed in a 99% biodegradable bottle made from recycled planet, so not only is this shampoo incredible for your hair; it’s also great for the environment. 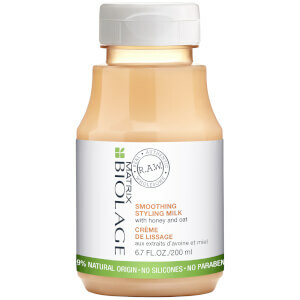 Give your hair a new lease of life with the Matrix Biolage R.A.W. Recover Conditioner. 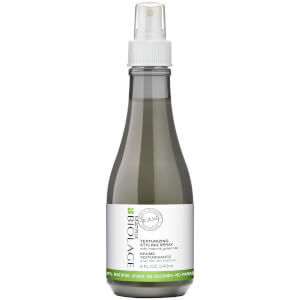 The expert blend of coriander oil and kaolin clay strengthens the hair while leaving it glossy, bouncy and full of life. 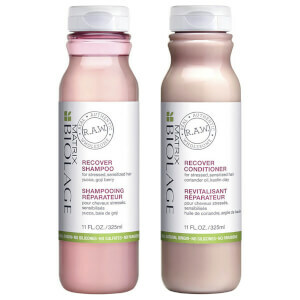 With no sulfates, silicones, parabens or artificial colors, you can rest assured your hair is being expertly cared for and nourished. 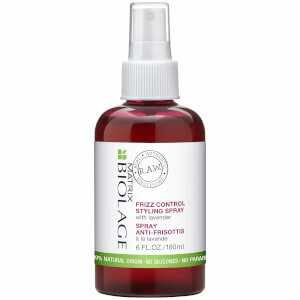 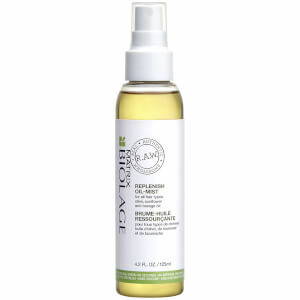 Deeply condition stressed out hair with the Matrix Biolage R.A.W. 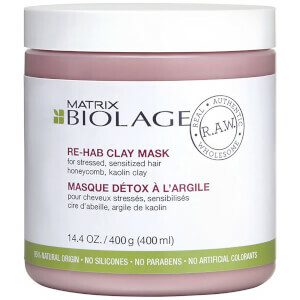 Re-Hab Clay Mask. 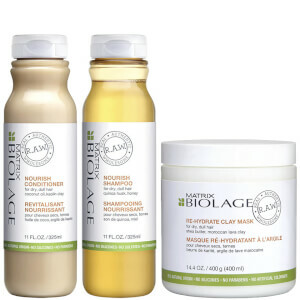 The gorgeous blend of honeycomb and kaolin work together to strengthen the hair, leaving it looking gorgeously shiny, healthy and full of life.